Norev Serie Luxe #160 Peugeot 504 ​. This is I believe a 1970s Norev plastic model made in France in 1/43 scale. This toy is all original, complete and in very near mint condition without any sign of wear or usage. 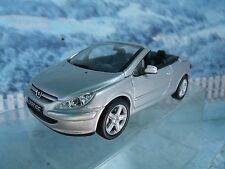 1/43 Norev Peugeot 307,without box. The item is all original, complete and in near mint condition. THIS WILL MAKE A GREAT ADDITION TO YOUR COLLECTION! 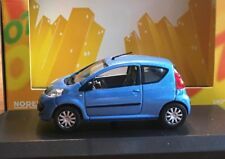 NoRev #473201 Peugeot 302 Darl'Mat 1:43 Scale Blue with Black Hard Top with Original Display Case and Box. NoRev is a French manufacturer of die cast replicas of vehicles of Peugeots, Citroens, and Renaults mostly. THIS WILL MAKE A GREAT ADDITION TO YOUR COLLECTION! 1/43 Norev Peugeot 203,without box. BERLINE XT PREMIUM. PEUGEOT 206. 1:43 Scale. 1/43 Norev Peugeot 505,without box. 1/43 Norev PEUGEOT RC Pique. Norev Serie Promotion #28 Peugeot 404 Familiale. It is made in 1/43 scale. It is a rare Serie Promotion example in dark blue and harder to find wheel type. make Supersized seem small. Get images that. Norev Serie Promotion #5 Peugeot 204 ​. This is a 1970s Norev plastic model made in France in 1/43 scale. This toy is all original, complete and in very near mint condition without any sign of wear or usage. Case & box has minor scuffs from storage. NoRev is a French manufacturer of die cast replicas of vehicles of Peugeots, Citroens, and Renaults mostly. Very nice detailing. This one is made in China for NoRev. In good to excellent condition with original display case and original box. 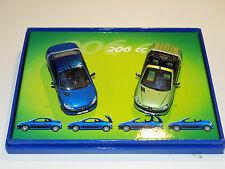 NoRev #470503 PEUGEOT 203 DARL MAT 1:43 Scale Blue with Original Display Case and Box. NoRev is a French manufacturer of die cast replicas of vehicles of Peugeots, Citroens, and Renaults mostly. Very nice detailing. 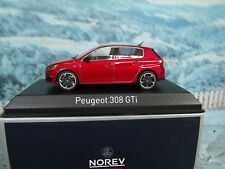 NOREV 1/43 diecast PEUGEOT 208 in BLUE NEW in PKG.